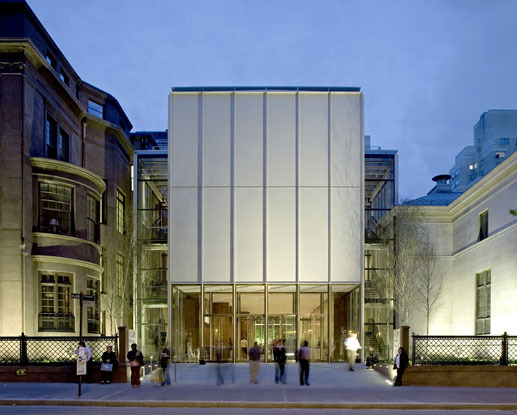 The recent redesign of the Pierpoint Morgan Library and Museum linked a historic section with a new steel-and-glass structure designed by acclaimed Italian architect Renzo Piano. Piano centered the addition on an open space designed to evoke a piazza. This elegant courtyard serves as a welcoming area where visitors can gather before entering the museum. In the wall facing the piazza -- and throughout other areas of the building -- Piano's extensive use of glass presented a significant challenge for light control. 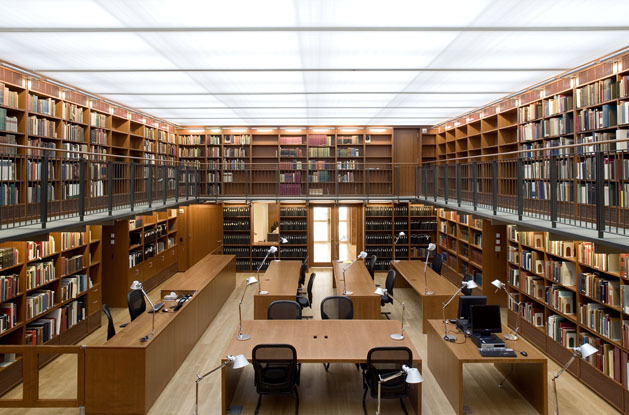 During the day, sunlight poses a threat to art and archival materials at risk of fading and thermal damage. And at night, the well-lit interiors can create complaints of light pollution from nearby New Yorkers. 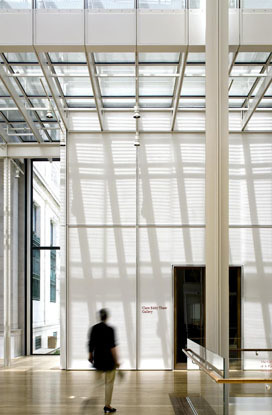 To address this challenge, shading experts at Hunter Douglas Contract Window Coverings engineered a custom solution of exterior roller shades and skylight tension shades that control the light entering and leaving the space. They also maintained the clean, monolithic look of Piano's design, by using and exacting operating mechanisms and dimensionally stable glass-fiber fabrics to eliminate stretching. An advanced control system responds to both sensors and manual switches, letting the shades to adjust to external conditions or to respond to the needs of users inside. The system goes beyond creating a beautiful aesthetic, delivering essential functionality that's friendly not only to visitors and building occupants, but also to the environment.